To view or make changes to a booking, sign in below or enter your Booking Number and PIN. Can I cancel or change my reservation through RoomHopper? Yes, it’s easy. 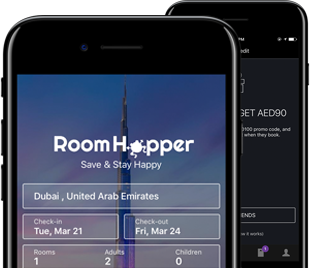 You can cancel or change your booking via our self-service tool ‘My RoomHopper’. Please, remember to check the hotel’s cancellation policy before making any changes to your booking. Non-refundable rooms and other special deals can have a different cancellation policy. Room specific cancellation information is included beside the room type under the ‘Conditions’ column. Cancellation policy varies from room to room. Usually you can cancel or change your booking right up to 24 hours prior to arrival time. You can check what any hotel’s policy is, and whether they will charge a cancellation fee, under ‘Hotel Policies’. This information is also included in your confirmation email. Please note that non-refundable and other ‘special deal’ rooms can have a different policy. You can see specific room policies under the ‘Conditions’ column beside ‘Room Type’. Room specific cancellation information is included beside the room type under the ‘Conditions’ column. Please note that with special deals, the cancellation or deposit policy differs from the normal policy, so it’s wise to check both. The specific information, relevant to your booking, will also be included in your confirmation and on My RoomHopper. Can I cancel or change a Secret Deal or non-refundable booking? It is not possible to change the dates of stay for ‘Secret Deals’ and ‘Non-Refundable’ bookings because of their special low rates. If you choose to cancel reservations for these rooms, you may incur charges according to the hotel’s policy. The payment process for your stay varies based on the individual hotel and room type. You can check how you will be charged for your stay in the ‘Hotel Policies’, in the room description under ‘Conditions’ and in your booking confirmation. Most hotels do not require an advance payment or deposit. If they do you will find the details under ‘Hotel Policies’ on the hotel’s RoomHopper page and in your confirmation email. Check-in and check-out times differ for each hotel. You will find them on the 'Hotel Policies' section at the bottom of the hotel page as well as in your confirmation email. - You can specify your intended check-in time while making the reservation. - You can manage your booking online to request a check-in time outside of the standard hours. - You can contact the property directly, using the contact details found in your booking confirmation. - Please note that the property cannot always accommodate this request; they will be happy to let you have your room early if there is availability, but there may be nobody to welcome you if you arrive late at night at a remote apartment. It's always best to check with the property directly in this case, to avoid any disappointment. For all general queries, email us and we’ll get back to you as soon as possible. For urgent requests, you can call us on the numbers below.